Check out these PIKMI POPS Giant Flips on sale for $38.88 Shipped (Retail $44.99). Choose from the Dog, Bunny or Cat character at this price. I would get this deal while you can if it's on your gift list because the Dog is priced right now at Walmart for $74.99!! Introducing the brand new Pikmi Super Flip – giant, reversible scented plushies that turn from a giant pom pom into a giant Pikmi Flip! 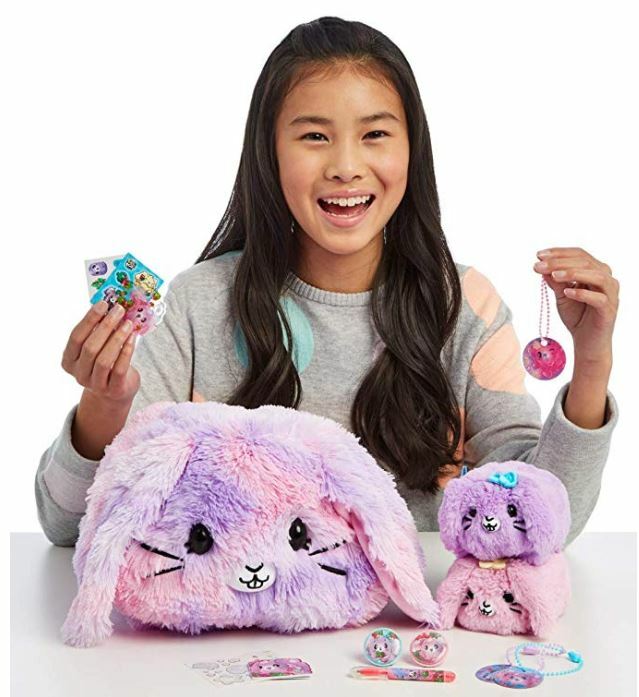 This giant Pikmi Flip turns from a giant cotton-candy inspired pom pom into Eddie the Giant Dog! He has little ears, light yellow patches and is so soft and perfect for cuddling. Ready for a surprise? Look inside for a sweet scented surprise! You can find 1 or 2 medium sized, reversible scented plush! There are also 8 surprise items to find. Surprise items include small badges, gel pens, temporary tattoo sheets, note books, and bag tags.